The fourteen thru-hikers of the Appalachian Trail that I began following this winter are now down to six. All fourteen kept online journals at trailjournals.com and each one began their treks in January or February of 2018. Let me provide a quick update on each of the six remaining hikers. Latest Photo of Hard Knocks, February 9, 2018! 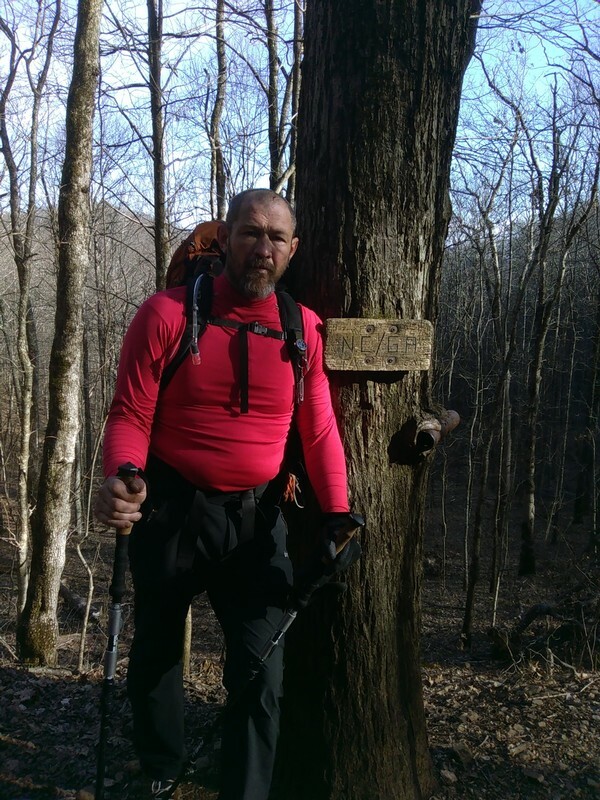 Patrick Knox, trail name Hard Knocks, had been silent in his journal since June 26th. He updated the record of his journey on July 3rd sharing his hike through July 2. During the past 5 days, he has hiked about 52 miles including a zero-day at Trapper John’s Hostel about 18 miles into the challenging state of New Hampshire. He spent a night at the Hiker’s Welcome Hostel in Glencliff, NH, and on July 2nd he was safe and sound at The Notch Hostel in Kinsman Notch in Lincoln, NH. Today was a slack pack and whereas the mileage may not look big the hike itself was. We covered little more than a mile an hour because of the steep, rough terrain and because of the heat and humidity. That, plus the fact that we are trying to set ourselves up for our first foray into the White Mountains that are looming just before us. “Looming” sounds a little too depressing so how about “Rising just before us like the sun on a Spring Day.”? No matter how you say it I suppose it will be a challenge but after all these miles I am confident that it will be a mere bump in the road. Tomorrow I am planning another slack pack to set put me right where I want to be. I am still a walkin’. Latest Photo of Chip – Day One! 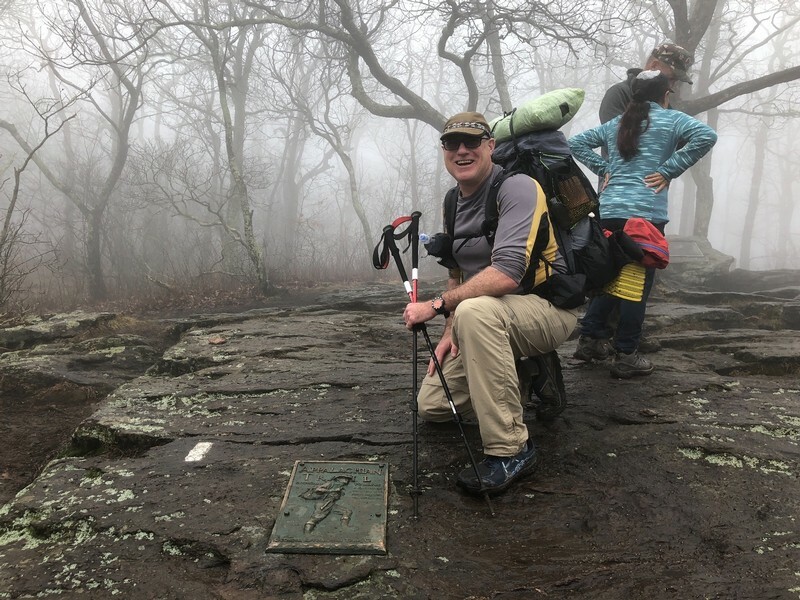 Chip Tillson, who does not appear to have adopted a trail name other than “Chip,” is about 580 miles behind Hard Knocks in the Keystone State of Pennsylvania. The thru-hike is not a race and there are many paces adopted by the hikers. The biggest concern on a NOBO (northbound) hike is arriving at Mt Katahdin, Maine, before the snow closes the path to the summit – usually the middle of October. Sour Kraut, Tim Pfeiffer, updates via photographs. 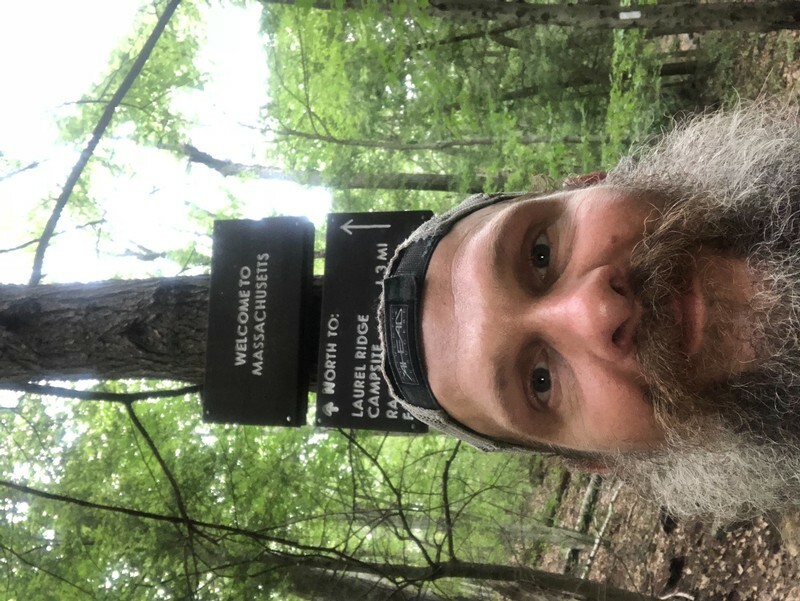 His last set of pictures was dated June 28th and Sour Kraut was at the Connecticut/Massachusetts and had hiked to the 1500-mile marker. I gave a brief update on Which Way and Next Step, Darrell and Alicia Brimberry, in yesterday’s blog, but they are in Massachusetts about 1550 miles from Springer Mountain, Georgia. Which Way has rejoined her husband after several weeks off trail and they are moving forward hoping Alicia’s back injury will cooperate and allow her to finish the hike. Pigweed, Lee Richards, last posted on June 14th. He shared in that post that he was taking some time off the trail to spend some time at the beach with his wife. “I’m going to get off Trail, go to the beach for a while with Cindy then bump to Maine in a flip-flop hike and start hiking South to get some cooler weather. So I won’t be posting for a little while until I achieve that. Probably after the July 4th weekend.” True to his words, Pigweed has not updated his online journal. I am anticipating his next entry sometime this weekend or early next week. Either that or he will decide that the beach and the company of his wife are too beautiful to leave.